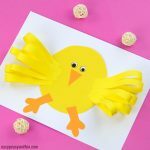 This spring chick craft will make a wonderful Easter display! 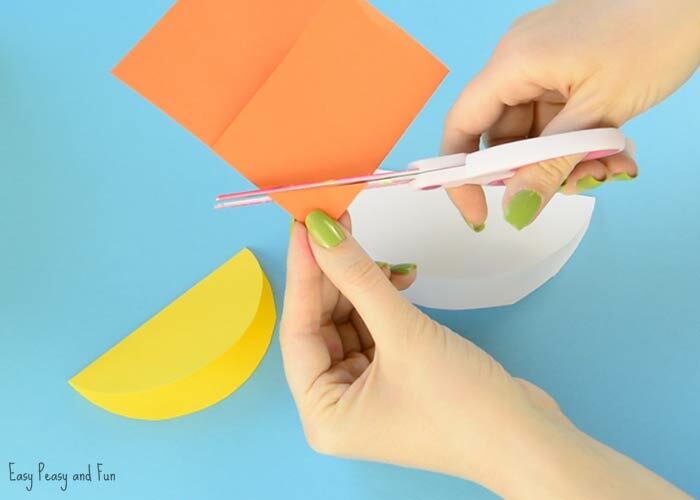 We love making easy paper crafts, especially the 3D kind, and this craft idea is a nice open ended project that kids can make in their own way! 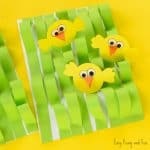 Making a baby chick and a mama chicken display is great for Easter time. 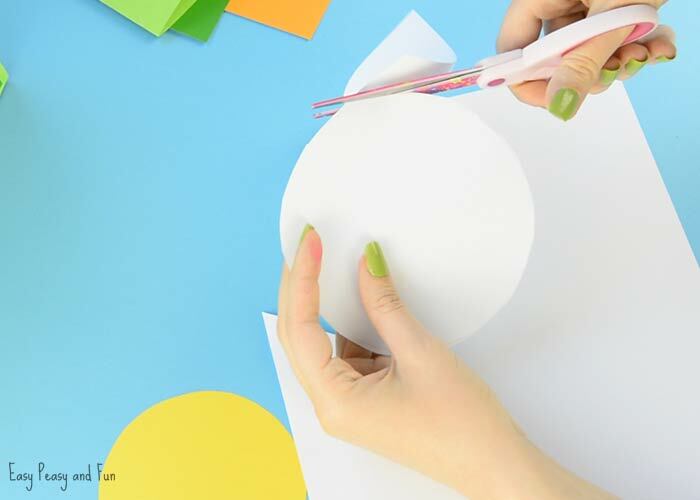 We hope this simple craft idea will inspire a whole lot of different designs your kids will be making (we also plan to share a few more ideas). 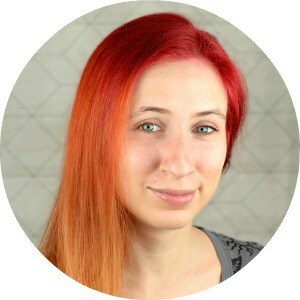 We really think this is the “essence” of crafts, to see how a project is made, to make it and then to apply the technique on your own creations. 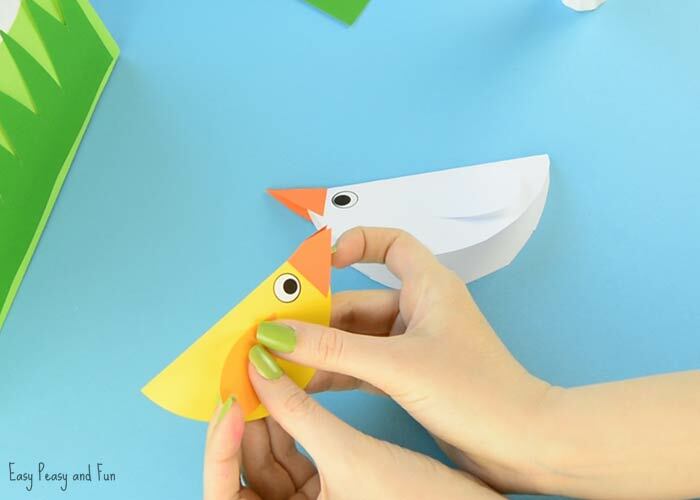 This project is fun for the classroom, you can have each kid create their own Spring Chick Craft and then you can place them one next to the other and in rows to make one large and gorgeous chick filled meadow. Ready to make your own display? Let’s make it! 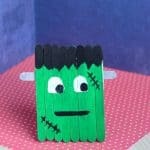 Also if you would love to see a printable template for this craft do let me know in the comments section! 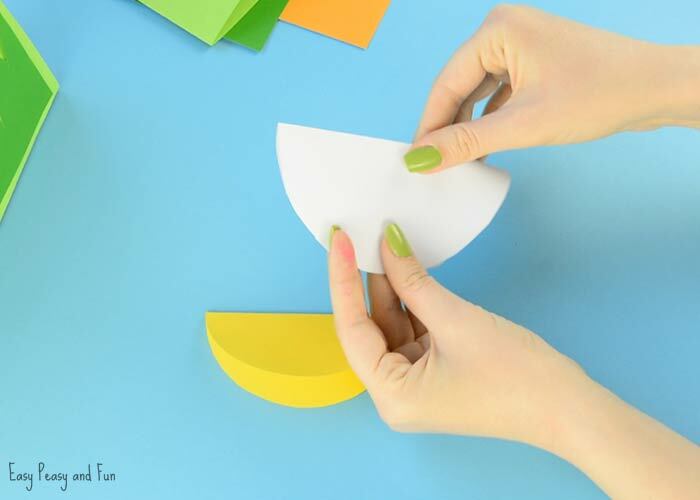 We have prepared both a video tutorial for your convenience and a step by step instructions with photos, where we also share more tips and tricks to make this craft. 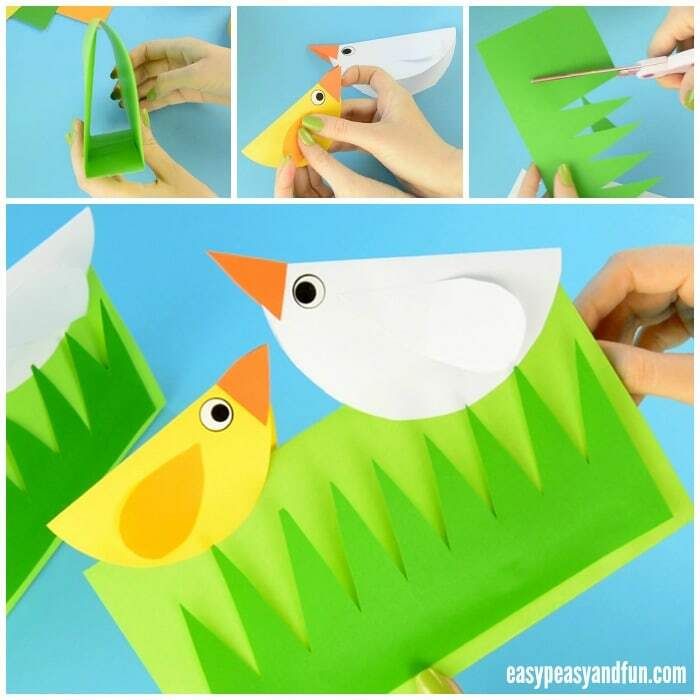 Take a sheet of green paper and fold it in half. 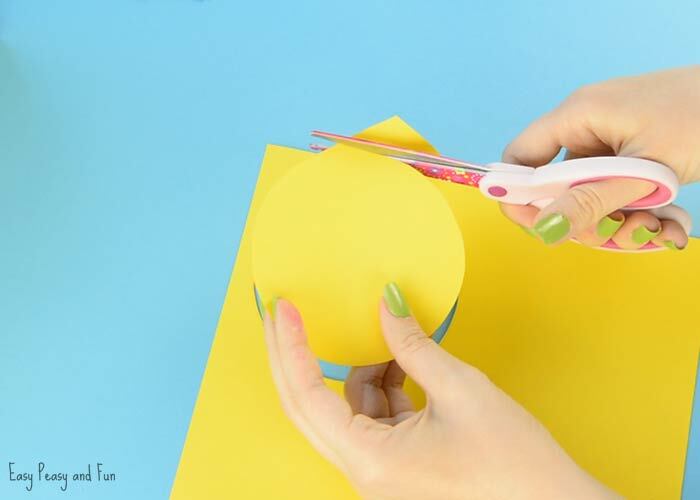 Run your fingers along the fold to make a crease. 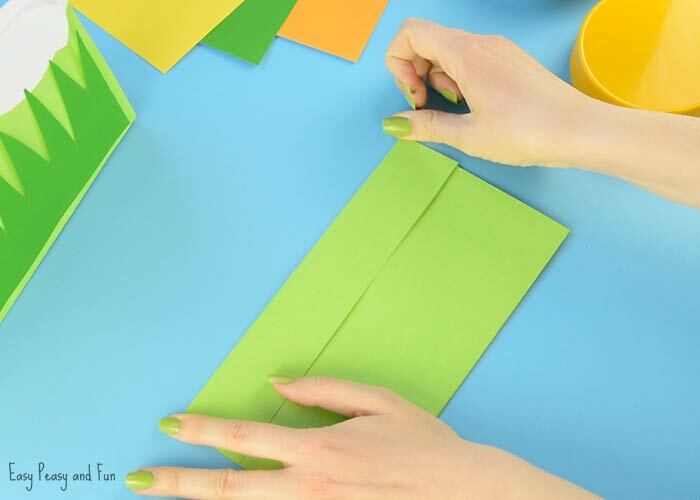 While the paper is folded in half, fold again at the bottom – one the open side (about 3 fingers wide). 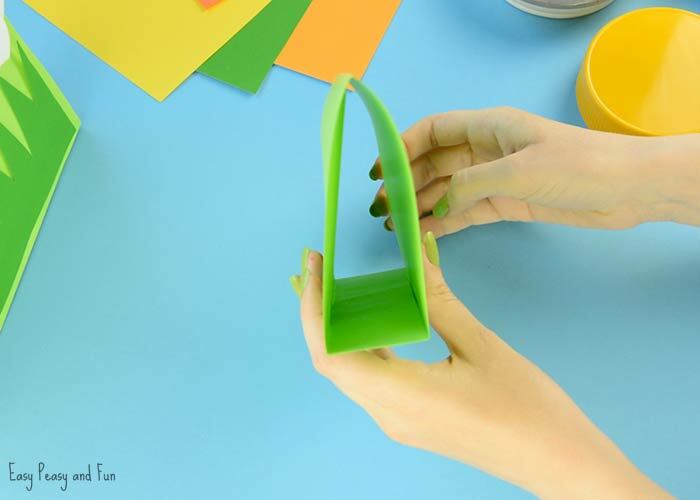 Glue into a triangle tunnel. 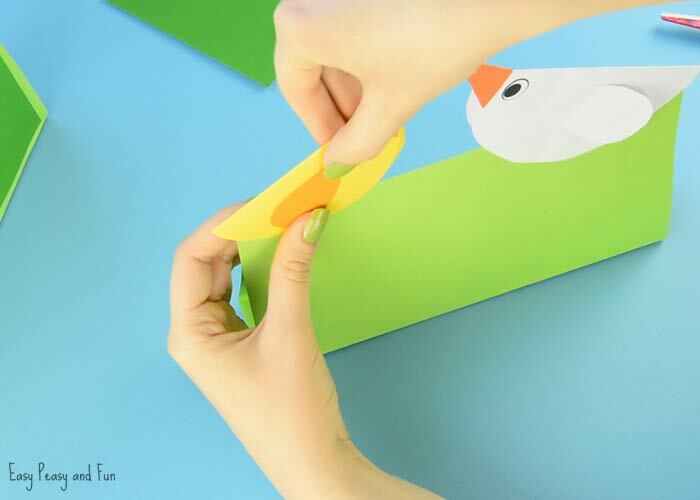 Apply glue along one of the “flaps” you folded in the previous step and glue on the other one. You should get a shape as shown on the picture bellow-. This makes our spring chick craft base. Now it’s time to make a yellow circle. This circle should be smaller than the white one, as well chicks are smaller than chickens. We used a jar lid for this one. Trace it on the paper and cut the circle out. Use a bigger round object to trace the white circle. 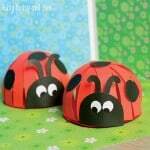 We used a cookie jar lid. 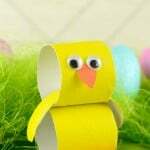 Cut a beak out of orange paper and glue it onto the chick. Do the same with the chicken. Cut the wings and glue them on the chick and chicken too. We love using stickers for those but drawing your own or using goggle eyes is certainly fun too! Apply a bit of glue on the top of the green base (or on the chicken) and glue the chick to the base. 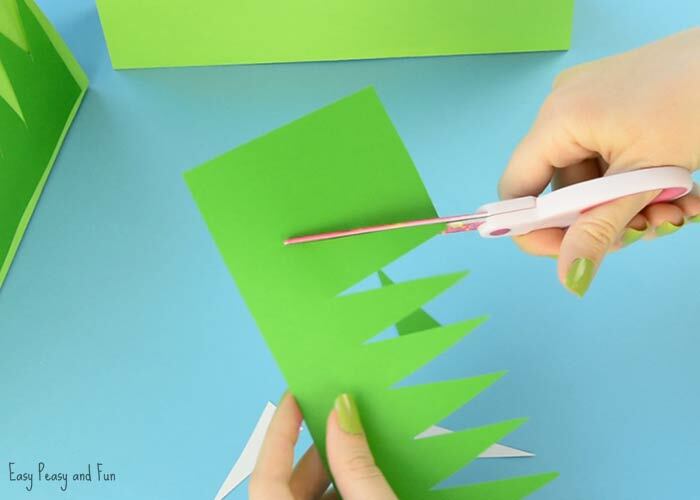 Take darker green paper, cut a strip that’s thinner than the height of the green base. 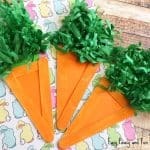 Cut out long triangles to get the grass look. 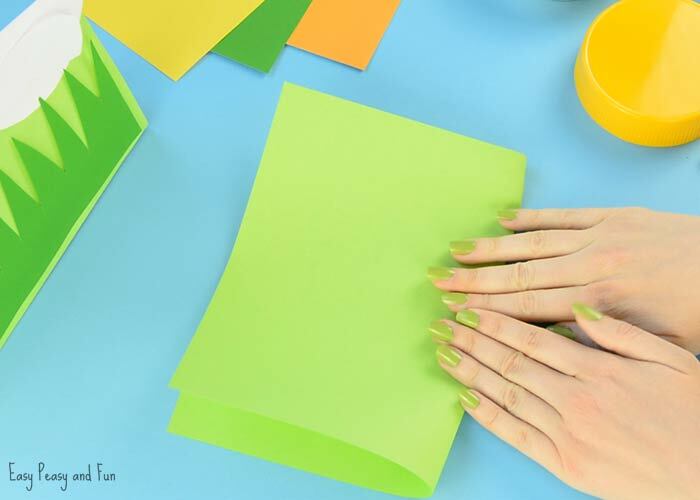 Glue on the green base. 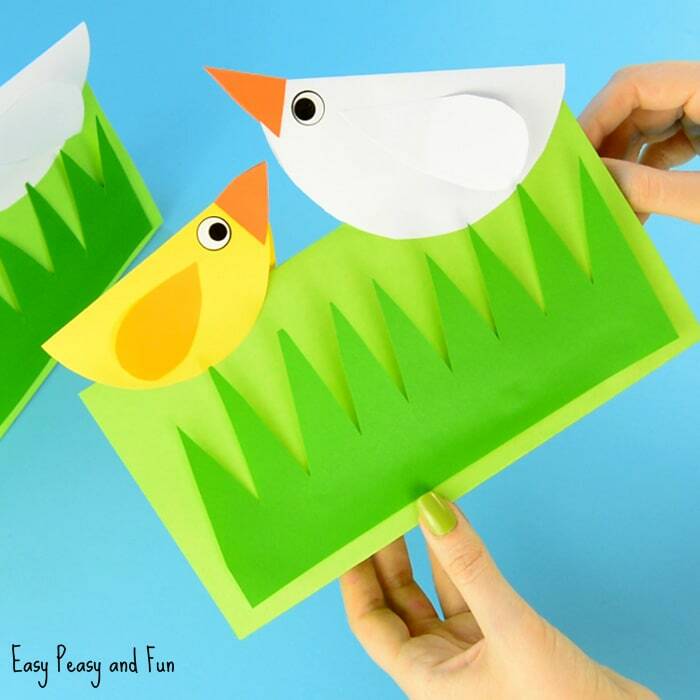 Your Spring Chick Craft is done and ready to be displayed!